Leather Premium is a relatively smooth cowhide leather with a flat grain and fine top sheen. It is dyed-through and lightly pigmented. The semi-aniline leather is soft to the touch, like a leather glove. The Belleville Chair by Ronan and Erwan Bouroullec owes its distinctive character to the material of the seat shell: the fabric-covered version with a thin layer of padding emanates a comfortable feeling of home. A black plastic frame draws the calligraphic lines of the chair's slender legs and backrest. 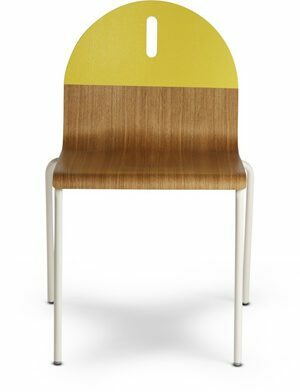 Seat shell: moulded plywood, moulded polyurethane foam padding, leather/fabric cover.